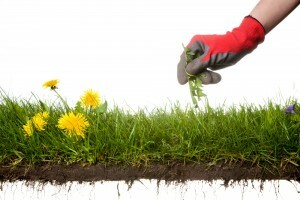 Barry Landscape & Maintenance is a locally owned Bellevue, Washington company. At Barry Landscape & Maintenance we provide quality service to commercial businesses and homeowners in the King County Area. We pride ourselves on our expert work, and we care about each individual by meeting his or her specific needs. Additionally, our staff is highly skilled and trained and we believe our work is never finished until you are completely satisfied and happy. Quality: Starts from the moment we meet and does not end. We treat your business and home as if it were our own. We treat our clients, their children, their friends, even their pets with respect and courtesy. Value: We provide estimates that are complete, firm, and fair. We don’t bid low upfront and then add on later. We strongly prefer projects, where there is complete agreement on all aspects of the project from start to finish. Integrity: When asked if this or that is possible, we give straight-forward answers with options and encourage your comments. Then, we leave the decision to you – without any pressure. We invite your closest investigation into our reputation. In the end, it all boils down to trust, and you have a right to know whether we are trustworthy. Pride: We take pride in our work and our reputation. But, most importantly, we take pride in the satisfaction our clients have felt in every project. Whether you have a studio apartment or a large office building, our staff can accommodate you. We have serviced businesses and residences in the King County area for over twenty-five years. First, we will come to your job site and give you a free no obligation, written estimate for your records. We will negotiate the best times to conduct our services based on building and community rules, space availability, etc. Please call us today; we are looking forward to serving you! We remove dead or fallen trees!